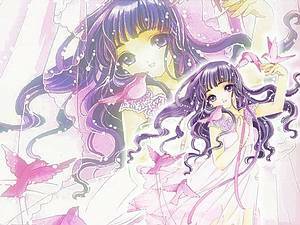 In December 2003, the members and visitors of All Anime World voted for the "Cutest Anime Girl 2003". Collected by email and from forum submissions, our members entered 17 girls into the contest during the last week of December. The only requirements: All girls have to be anime characters and may not have won already. Focusing on cuteness and cuteness alone, 887 members gave their votes for the Cutest Anime Girl 2003 between Dec 1 and christmas evening. Of these 887 votes, 825 votes were given anonymously leaving only 62 registered members votes. The following is a list of points acquired by every girl. A very interesting result this year, with two rather "old" anime females at the top positions in our rankings. Chiyo-chan clearly made it to rank #1 this year. There are rumors that a certain forum member was very actively looking for people to help her on the top of this list and this year he did it. 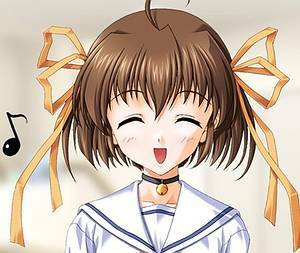 Ranked #2 we find Sakura-chan's best friend Tomoyo Daidouji, maker of costumes and large ribbons (and owner of at least 20 vid-cams) On rank three we see Nemu Asakura from the rather weird shojo love story Da Capo. 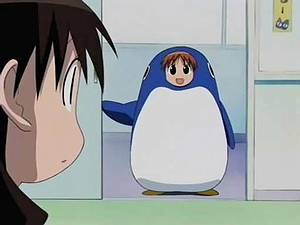 This is now the official accouncement of the winners in our Cutest Anime Girl 2003 contest. We promised to send a "Hunter X Hunter" poster directly imported from Tokyo to one random registered voter who is not bound by COPPA rules. The winner has been elected by a Delphi software we wrote in less than 60 seconds and the poster is going to "Cyber_Helix" hope he has a good use for it. Congratulations!